Call Us Today! (803) 402-4142 Get in touch now! Great Grappling Brazilian Jiu Jitsu may collect information, such as your e-mail address, name and phone number. Information about your computer hardware and software also may be automatically collected. This information can include your IP address, browser type, domain names, access times and referring website addresses. This information is used by Great Grappling Brazilian Jiu Jitsu for the operation of the service, to maintain quality of the service, and to provide general statistics regarding use of our website. 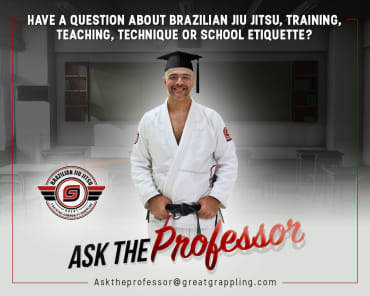 Great Grappling Brazilian Jiu Jitsu welcomes your comments. If you would like to stop receiving messages from us, please contact us at marketing@greatgrappling.com. Take on the best Brazilian Jiu Jitsu In Fort Mill and Charlotte. We have classes for the whole family and dedicated instructors who are happy to work with all experience levels. Hello, my name is Robb and I am a grappaholic. In December 2012 I wanted to find something different to get in shape. Going to the gym was boring, and re-enlisting in the Marine Corps was not an option. At 42 years old I needed to make some changes. Joining this family at Great Grappling was the best decision I could have ever made. From day one everyone here has been very helpful, and not one time have I felt like an outsider who was here to be used as a test dummy. Professor Jeremy is not just a Black belt, he is a good person. He is awesome to train with, and the type of guy you enjoy hanging out with after class. I started this to get in shape, but once I realized what I had found, I want to train as much as I can so I can earn some rank and compete. I want to compete for the test of my knowledge and ability in the art, not just for the trophy. If you are considering learning the art and having a place you can go and train without fear of being the test dummy, this is the place. Great People, Great Training, Great Grappling. 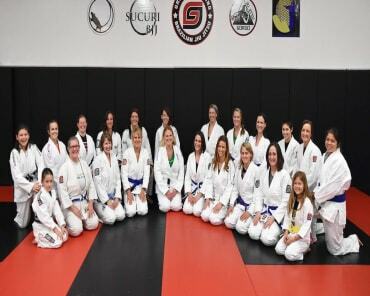 We found GGBJJ when searching for kids Brazilian Jiu Jitsu programs in the Charlotte area. 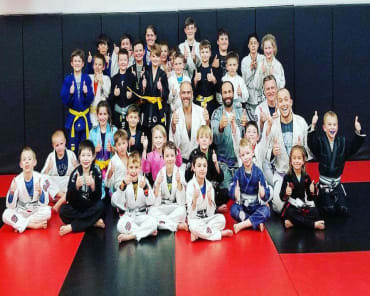 We were not experienced in martial arts, but were told that BJJ can be better exercise for kids since they actually get to spar regularly in class (as opposed to needing pads, headgear to spar in most other martial arts to avoid injury). We were immediately impressed with Professor Jeremy as a teacher. Not only is he obviously a great BJJ practitioner, but he’s an amazing communicator and loves kids. That’s a very rare and unique combination of skills. Our sons, age 7 and 8, have flourished at GGBJJ. The older of the two is very big for his age, and his balance/coordination were lagging as a result. GGBJJ has fixed that, and they both love it. After almost a year of my boys doing BJJ, I was convinced to try it myself and have had the same results. I’m still at the beginning of my BJJ “journey” but I enjoy it already. It’s challenging yet addictive. GGBJJ has a family community where everybody is great friends outside of class, supports each other, and as a new practitioner I am constantly impressed by the great help I get from the more experienced guys I go up against. This is not an intimidating atmosphere where I’m afraid to join, as an outsider. This is a welcoming community where the expectations are high, but everybody helps everybody else. That all flows from Jeremy’s great teaching style and the culture he has created at GGBJJ. I can’t imagine a better place to learn BJJ – not only in the Charlotte area but anywhere in the country. I ran into the Jeremy by complete accident, by rolling up to Gordo’s academy to train a few weeks and asking about places to stay. What I got was an amazingly warm welcome and a new family for a few weeks. Everyone at the Connection Rio house was friendly and fun, and they were serious about training BJJ. Awesome. As for Jeremy himself, it is few and far between to find people who are as dedicated to teaching as this man. The classes are very well researched, based upon extensive experience, and set in a format to learn through muscle memory. All of the techniques build off of each other in a continuum, designed around building a game plan and prepping for competition. Jeremy keeps things moving and fast-paced, but you never feel exhausted until its all over and you realize you’ve been training hard and nonstop. I highly recommend his classes and I’ll definitely be back again. Thanks, Jeremy!, will be seeing you at the Rio Open!